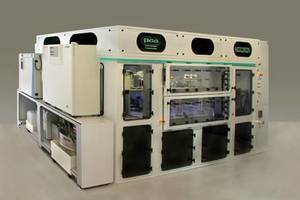 San Diego, CA, USA – 5 February 2018 - Peak Analysis & Automation (PAA), a global leader in laboratory automation, is showcasing its complete range of fully integrated laboratory automation systems on booth 1529 at SLAS2018, San Diego, CA, USA. These include PAA’s established S-CEL™ robotic systems which provide a flexible design to accommodate all types of laboratory automation applications, as well its new S-LAB™ automated plate handler and GX collaborative robot, together with the proven Overlord™ scheduling software. S-CEL robotic systems combine modular configuration, containment options and environmental control to make a comprehensive, integrated laboratory automation solution. The company has developed bespoke S-CEL systems for life science research and drug discovery applications in biotech, pharma and academic facilities and is expanding its S-CEL capabilities in the US, supported by its extensive US-based team. At the other end of the automation spectrum, PAA will be demonstrating the capabilities of its new S-LAB™ automated plate handler. With super-easy set-up and a highly affordable price-point, S-LAB is an entry-level system that will enable the automation of assays which might not have been considered for automation before. Compatible with up to 300 different instruments and able to handle lidded plates reliably for sterile assays, the S-LAB is the perfect answer for laboratories looking to upscale workflows. PAA’s GX™ fully collaborative benchtop robot was demonstrated as a prototype in 2017, and having recently been awarded a CE mark, is now available in both the US and Europe. The GX offers unique 360° continuous rotation of all joints and a barcode reader, delivering unmatched performance, ease of use and safety in the laboratory. PAA is showcasing its range of automation systems on booth 1529 at SLAS2018. For more information please visit www.paa-automation.com. Peak Analysis & Automation (PAA) provides state-of-the-art automation technology to the pharmaceutical and biotechnology industries. The company offers a complete design and build service for laboratory automation, including the manufacture and supply number of standard products such as laboratory robots, automation software and integrated automation workcells.